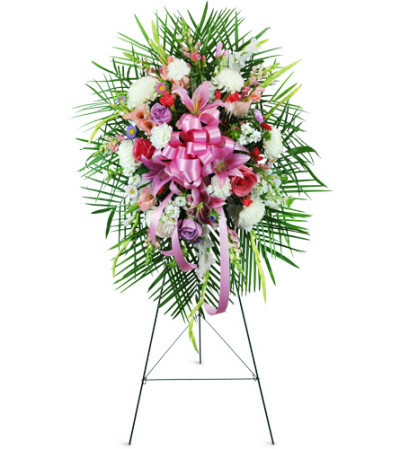 This pink-hued standing spray is a delicate, loving way to show your sympathy and caring. 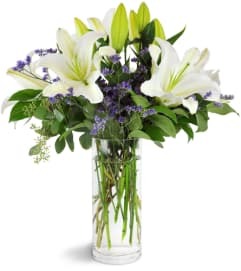 It's a perfect way to honor the treasured memory of a mother, sister, or friend. 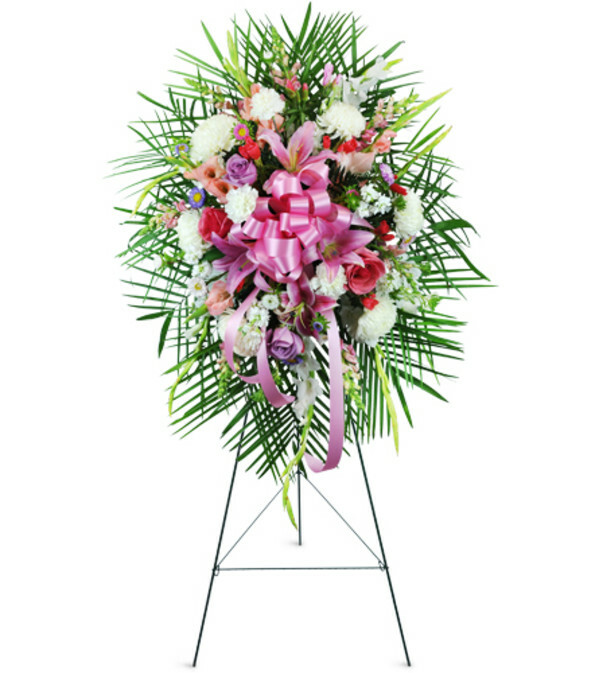 Pink and white roses, mums, lilies, snapdragons, gladiolus, and more create an elegant, compassionate display. Appropriate for the funeral home or service.